Serious questions remain as to how these private forces are managed, when they can use deadly force and what happens if they break the rules. WASHINGTON — The military buildup in Afghanistan is stoking a surge of private security contractors despite a string of deadly shootings in Iraq in recent years that has called into question the government's ability to manage the guns for hire. In recent online postings, the military has asked private security companies to protect traveling convoys and guard U.S. bases in troubled southern provinces such as Helmand and Kandahar. And if truckers hired to transport fuel for the military want protection, they can hire their own armed guards, the military says. The Bush administration expanded the use of such companies with the onset of the wars in Iraq and Afghanistan because it can save the military time and money. But the practice lost much of its appeal with Congress after September 2007, when five guards with what was then called Blackwater Worldwide (the company recently changed its name to Xe) opened fire in a crowded Baghdad square and killed 17 Iraqis. Those killings followed a 2006 incident in which a drunken Blackwater employee fatally shot an Iraqi politician's bodyguard. 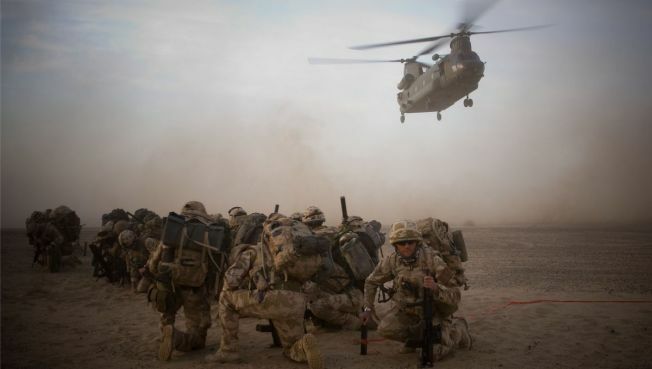 Now, as President Barack Obama plans to send more U.S. personnel to Afghanistan to boost security and diplomatic efforts, more contractors are preparing to deploy, too. Still, serious questions remain as to how these private forces are managed, when they can use deadly force and what happens if they break the rules. "We understand the difficulty of providing for the security of the Department of Defense facilities," Sen. Carl Levin, chairman of the Senate Armed Services Committee, wrote Defense Secretary Robert Gates on Dec. 9. "However, the proposed contract would appear to dramatically expand the use of private security contractors in Afghanistan," Levin said, adding that the reliance on contractors in Iraq resulted in "widespread abuses." Levin, D-Mich., wrote to Gates after The Washington Post reported on the contract bid for armed guards at U.S. bases in southern Afghanistan. In his letter, he noted the 2009 National Defense Authorization Act, which warns the Defense Department against outsourcing security operations "in uncontrolled or unpredictable high-threat environments." Complicating matters is that the armed guards hired in Afghanistan most likely won't be U.S. citizens. According to Gates, only nine out of the 3,847 security contractors in Afghanistan have U.S. passports. Some lawmakers worry that arming non-U.S. citizens to protect American bases or convoys poses a security risk in a country rife with corruption and on the defensive against the militant Taliban. Gates defended the practice in his Feb. 17 response to Levin. "The use of contractor security personnel is vital to supporting the forward-operating bases in certain parts of the country and in continuing our efforts to employ local nationals whenever possible," the Pentagon chief said. Sen. John McCain, the top Republican on the Senate Armed Services Committee, agrees. "If Afghans are qualified to do jobs, we want them to do jobs," McCain, R-Ariz., said in an interview. Despite Gates' assurances, Levin said in a statement to the Associated Press that he would "continue to actively review the issue and to consider the need for legislation." But so far, Congress has struggled to close even the most glaring of legal loopholes governing security contractors in war zones. While the law says U.S. courts have jurisdiction over defense contractors working in a war zone, it leaves in question those supporting other agencies, such as the Blackwater guards hired by the State Department and involved in the Baghdad shooting. In October 2007, the House voted 389-30 to give U.S. courts jurisdiction over all contractors in a war zone. But momentum on the bill stalled after the Bush administration raised objections. The Senate version of the bill, introduced by Barack Obama when he was an Illinois senator, never received a vote. Last month, two sponsors of the bill, Reps. David Price, D-N.C., and Jan Schakowsky, D-Ill., asked President Obama in a letter to pick up where he left off by helping Congress define which tasks only government should perform. Currently, there are 71,700 contractors in Afghanistan, which is more than twice the number of U.S. troops. With more than 3,000 of those contractors carrying weapons, the Defense Department established an office to oversee them. That office, known as the "armed contractor oversight directorate," just agreed to pay $993,000 to Aegis Defense Services, a London-based security and risk management company, to help do that job. Gates assured Levin that the military's contract with Aegis would not result in contractors overseeing contractors. Instead, the nearly $1 million dollar deal would provide administrative support only and that the company's workers would not have "direct input into daily operations, force protection, or combat operations," Gates said.